You might know that I run the local Guide Company, and obviously for various child protection laws in place I don’t really post about the girls at all. But this week’s travel theme from Alisa is Ancient, and we recently played a game that made me think of this straight away. 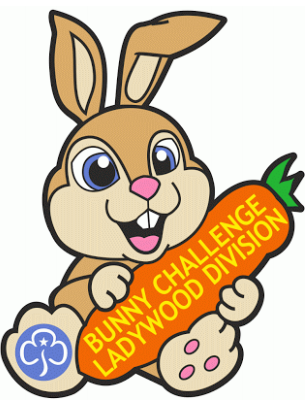 Inspired by my travels, I wanted to give them something Mexican, so we told my girls and the Brownies the ancient Aztec story of the Rabbit in the Moon for the Division’s Bunny Challenge Badge to learn about Rabbits in other cultures. The ancient people of Mexico are called the Aztecs, and the most important God was called Quetzalcoatl, the Feathered Serpent, who took the form of a human to walk the earth with his people. As a simple man he walked in the Mexican desert in the heat of the day, walking until he grew thirsty and hungry. He kept walking in the desert until to grew dark, and the sky filled with stars and a blank silver moon. When Quetzalcoatl had walked so much that the hunger and thirst grew too strong, he sat beside the path, suffering in a way he never had as a God. Near to him he noticed a small rabbit eating alone in the dark. “What are you eating?” Quetzalcoatl asked. “Grass, would you like some?” said the rabbit. Despite his uncomfortable hunger, Quetzalcoatl said “No”, as this simple meal is enough for a rabbit, but hardly suitable for a human. By the light of the moon, the concerned rabbit asked Quetzalcoatl what he would do, “Die of hunger and thirst probably” he replied. Getting nearer to the human, the rabbit gave Quetzalcoatl another offering, “I know I am nothing but a small rabbit, but if you are hungry you can eat me.” Touched by the kindness of the rabbit, the man gently picked him up, and revealing his true form as the feathered serpent God. Quetzalcoatl raised the rabbit up to the sky, taking as high up as the moon, where the image of this kind rabbit was imprinted onto the blank surface of the moon. As he did this, Quetzalcoatl told the rabbit he was no longer just a small creature, that his portrait painted in the light of the moon would forever tell the story of his kindness to all men. And with this reward he returned the rabbit to where he found him. Quetzalcoatl‘s story teaches us that even if food is just fuel need to continue your journey, it is also a gift and a kindness. * The older girls decided to change this action to bending over and taking their skirt over their head “mooning” at each other! This entry was posted in Life, Love and Football and tagged 100, aztec, big brownie birthday, birthday, brownie meeting ideas, bunny challenge ladywood division, celebration, challenge, challenge badge, game, girl guides, girlguidinguk, guide meeting ideas, ladywood, mexico, moon, quetzalcoatl, rabbit, teotihuacan, travel theme, weekly travel theme, writing challenge. Bookmark the permalink.